and the Orlando metro area. you repair with our company. Same-day service is our specialty! When you call before mid-day, we can normally offer same-day appliance repairs. We keep our vehicles stocked with the most common parts, which usually enables us to complete repairs in one trip. We take pride in the expertise and professionalism of our technicians. Our technicians undergo thorough background screening before becoming part of our team, and they each receive hands-on training from the owner of our company. An appliance repair service should stand behind its work. That’s why we offer a best-in-industry one-year warranty, applied free of charge to every appliance repair our company performs. Satisfaction guaranteed. Professional & friendly service guaranteed. 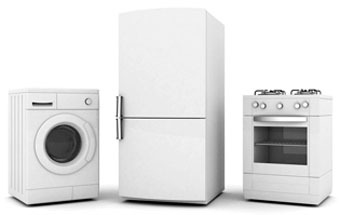 ASAPpliance Repair provides residential and commercial appliance service to the Orlando metro area. By combining convenient, streamlined service and unmatched affordability, our mission is to save major appliances from the landfill and to become a premier provider of appliance repair services in Orlando. We’re a no-frills appliance repair service, which means we minimize costs on our end to bring you the most affordable services possible. As an “on-wheels” business, we lack a central office location, and we invest minimally in advertising — so our business overhead is very minimal. As a result, we’re able to provide repairs at a price lower than most local and national competitors. 1. Same-day appliance service. We can usually offer same-day service before mid-day. We’re reachable by phone Mon – Sat, from 8am – 5pm, and we can schedule appointments until 7 or 8pm in the evening. Emergency and holiday service is also available. 2. Flexible & convenient appointments. We schedule appointments in 3-hour windows according to your schedule, and we’ll have our technician give you a call before heading your way, allowing you to go about your day as normal without having to wait on us. 3. Friendly, professional staff. We look for three things in our technicians: competence, punctuality, and a friendly attitude. Our technicians undergo thorough training by the owner of our company before repairing appliances for us independently, and they can handle even hazardous refrigeration issues involving freon. 4. First-class customer service. Call us and you’ll be connected directly with one of our representatives within seconds. No call menus, no extended hold times. We’re happy to answer any questions before scheduling an appointment. 5. Best-in-industry one year warranty. We stand behind every repair with a one-year warranty. 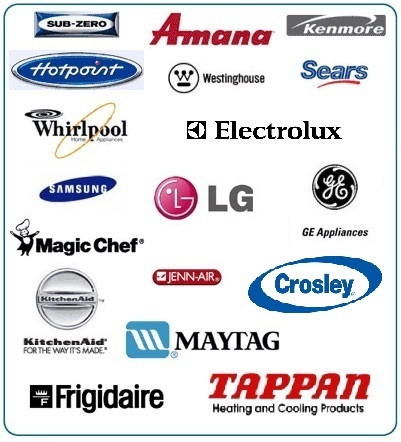 Most appliance repair services only warranty their work for 90 days, and others list no warranty details at all. If something happens within that first year, we’ll make a second trip to bring the appliance out of disrepair, free of charge. We offer major appliance repair (kitchen / laundry appliances) to homeowners and businesses throughout the Orlando metro area. Our service area covers Orlando and many nearby cities, including these: Azalea Park, Celebration, Conway, Doctor Phillips, Fairview Shores, Hunters Creek, Kissimmee, Lake Nona, Lockhart, Meadow Woods, Oak Ridge, Ocoee, Pine Castle, Pine Hills, Sky Lake, Southchase, St Cloud, Williamsburg, and Winter Park. ASAP repairs major appliances: refrigerators, freezers, stoves, ovens, ranges, cooktops, dryers, washing machines, dishwashers, and garbage disposals. Our techs are experienced with all the most popular appliance brands, including Kenmore, Whirlpool, Maytag, Amana, GE, LG, Samsung, Kitchenaid, Jenn-Air, and others. We can also service many high-end / commercial / boutique brands — call for details! What we can’t work on: small appliances, trash compactors, walk-in coolers, vacuum cleaners, or HVAC equipment. In addition, due to part availability / manufacturer warranty issues, we’re unable to work on these brands: Asko, Dacor, DCS, Fisher & Paykel, Gaggenau, Manitowoc, Miele, Thermador, Wolf, and Viking. Want to learn more about our company? Check out our Services page for details on our policies, service area, hours of operation, and more.